So it’s time for me to write down my experience at my first freeride – Wallonhill Indian Summer in Houyet, Belgium. 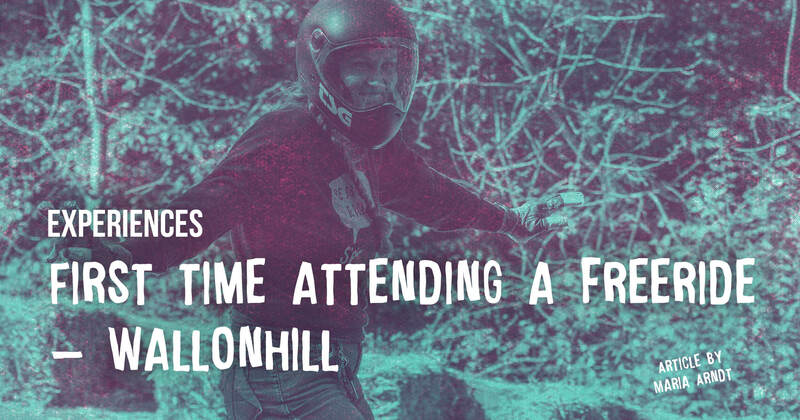 Already the sign up was exciting, Wallonhill is normally booked out within a few minutes, fortunately a friend let me know before. So I was sitting in front of my computer counting the minutes for the sign up and got in, after waiting for 2 weeks. 10 minutes later and it was already sold out…! After my first failed Freeride at KNK, I didn’t really consider taking part in a freeride again until my positive experience at Margériaz in France. 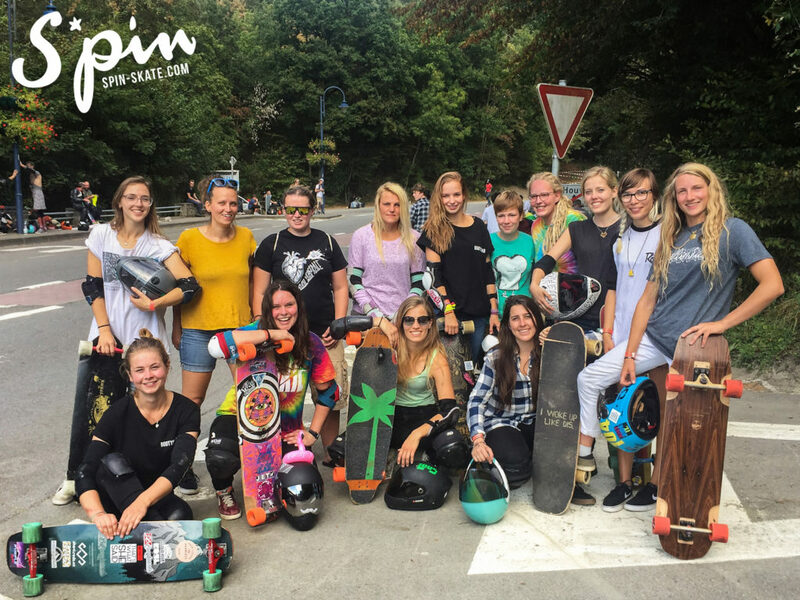 When all the girls at the Women’s Longboard Camp talked about the upcoming events which they wanted to attend, it gave me a nervous feeling I didn’t understand in that moment. For some reason I wanted to know how »bad« that »beginners spot« Wallonhill was compared to the tracks which I have skated or tried to. Everyone told me that it was a perfect beginners freeride and it was the first event or many European skaters. After one week I considered the idea to maybe attend. I knew three more people, all girls, who also wanted to go, so we pushed and motivated each other and we all got in! Like most of the skaters we arrived on friday afternoon in Houyet. It was a nice come together, seeing friends and a bunch of new faces. It felt like the longboard family came together, even if it was a little different to that of the Dancing community and also of my first ever freeride. I already knew so many people and that made me feel comfortable. At the camp fire I had talked with a few friends and this gave me confidence and a good feeling for the next day and also I chatted with some girls who I knew, but had never met in person before. So it was nice to see how it all pieced together. Although it was still warm during the day, the nights were super cold. In the morning everyone crawled out of their tents chilled to the bone. For me it felt almost like no sleep at all and because of that I started worrying about skating, in the middle of the night. But it was all gone after breakfast and preparing the board and the protection. Then everyone left for the track and the buses to give us a lift to the top. It was a interesting moment, I felt so much more relaxed than expected and it was quite interesting to experience it from a different perspective, now as a skater and not a photographer. There were so many new faces at the top and also so many new girls I hadn’t met before, so it was also a nice atmosphere up at the top. When it started we tried to figure out who was going down when. 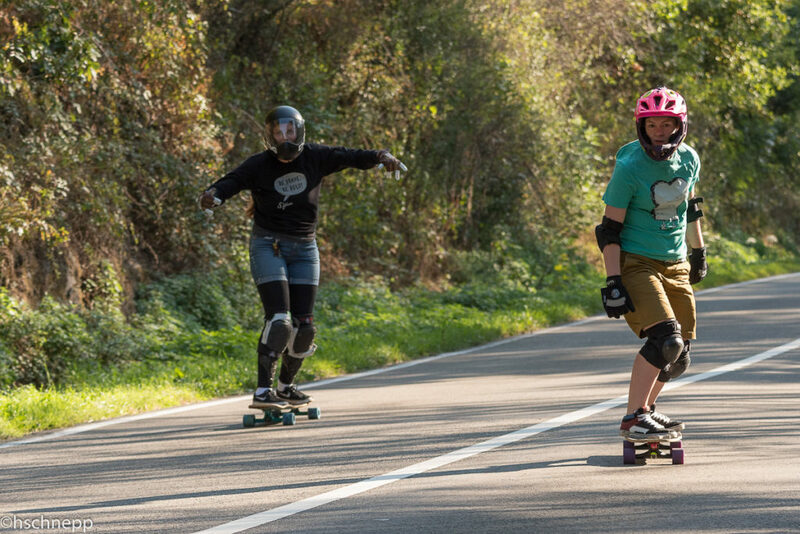 My friends Dineke and Cyrine were already much more experienced, and went more in the front, Julia, my friend from the Women’s Longboard Camp and I decided to go more in the back with the other beginners. The first run was exiting; new track, new speed, for the first time other people surrounding me on the track. Even though everyone told me it was a super chilled track with no need for slides, everything to grip, it was a challenge for me because I reached a speed I had never experienced before. So for me the most important thing was that I felt safe and also for the skaters surrounding me. For me it didn’t feel like sliding on this track (even if it was said that it was not necessary, I didn’t feel comfortable trying it out in my runs to test the concrete) but I felt confident with my footbrake and I felt from run to run, safer and safer at higher speed and how I pushed my max speed and only falling one time. 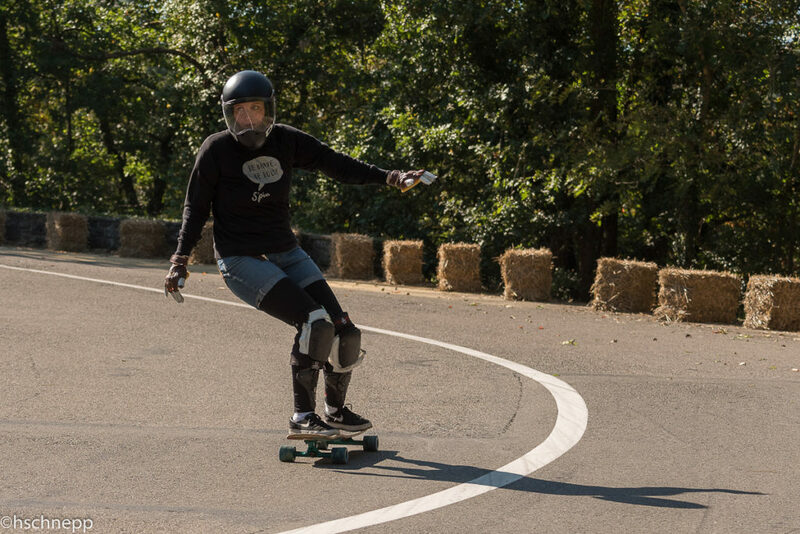 It was in my first run and after rolling with some speed over a big stone I felt like getting speed wobbles in a corner, so I decided since no one was close behind me to fall controlled instead of a hard uncontrolled crash. Unfortunately my new laces (I expected them to hold longer) were torn in half, nothing left to fix it on my foot, so I decided to try my best, half of the track still to skate and my left shoe (I ride goofy) could have been looser. I managed to skate to the bottom and was quite happy that all was fine! No bad experience! I got myself new laces and made it to the second run of the day and it worked better and better and faster and faster from run to run. So I started to enjoy it more and I could relax more. I felt progress in every run, no matter how little, it meant a lot to me. I think the event couldn’t have been better in so many ways for me. For my level I skated pretty fast, even if the others said it was still skating pretty chill. In the beginning it gave me a bad feeling like I went too slowly but I pushed my limits way more than expected and still felt comfortable, felt safe and skated as faster than I ever had before, so I definitely didn’t want any free room for bad feelings and just wanted to enjoy the motivation. 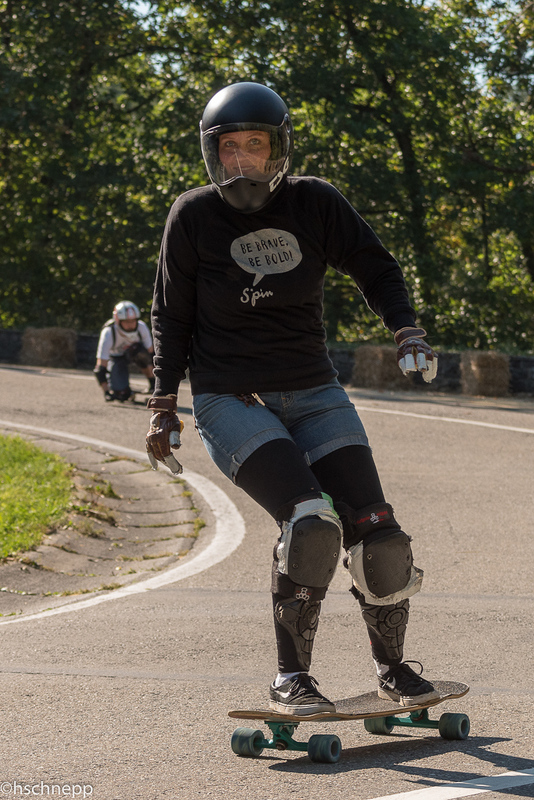 Wallonhill gave me so much more confidence to find myself still able foot brake at my highest speed and I have learned to feel confident with sharing the road with others. 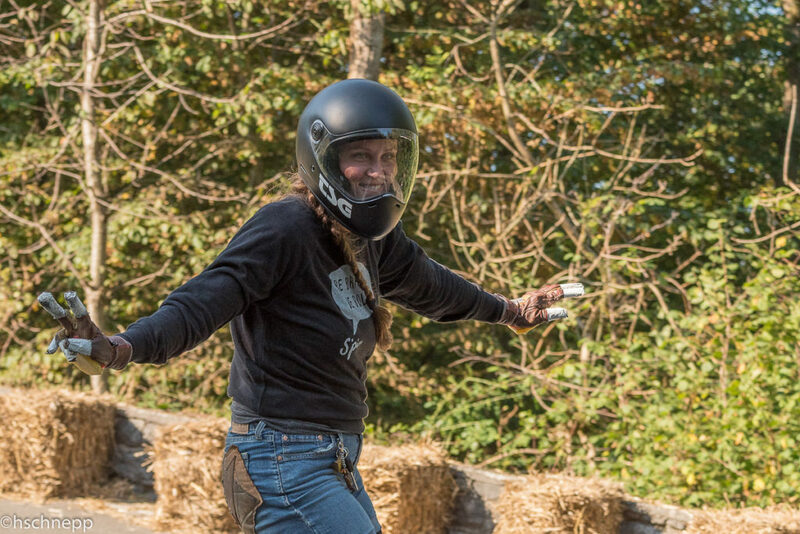 I was a little scared in the beginning, because I have never really had someone close on the track before and I always felt like I was sketchy riding alongside others, so it felt pretty good when a couple of friends told me they didn’t felt uncomfortable with me at all, even if I was a beginner. I also did my first pack run, all the girls at Wallonhill decided to do a girls run. I loved the idea, even if I knew that I was probably one of the last, but in the end: I am still a beginner, so why put the demands way too high when I was not able to reach them anyway? I felt how much it pushed me in a positive way to keep close with them, and I tried my first speed tucks, which felt pretty cool until I reached a speed where I felt more like getting back in control and not gaining more speed. For sure I couldn’t follow them close for long, they like to skate as fast as possible and some are also quite experienced in racing, but I accepted the challenge and that was all what counted in that moment for me. It felt so great to feel as a part of the event, as a skater, to be at the start, everyone is excited to skate and then you’re pushing and rolling. I normally just knew it from the raw run-videos, but then I found myself in that situation and felt so proud of myself, because these videos sometimes gave me a feeling like I could never be at that point for some reason, and now I proved myself wrong. For some people it might be nothing special, but for me it was the beginning of something new, something exciting. You skate down the hill, you feel how you gain more and more speed and you also feel like it’s all going to be fine, against all previous bad experiences you feel safe and you feel a big, proud smile on your face. It’s just an incredible feeling when you realise what your friends told you; when there is just you and your board and you’re in controlof all your senses to give a safe feeling and a good self-assessment on board. Furthermore, at an event you are surrounded with so many awesome people and friends pushing you and your limits and you’re just enjoying your time! So be brave, be bold and believe in yourself pushing your limits! feel free to send us an E-Mail! 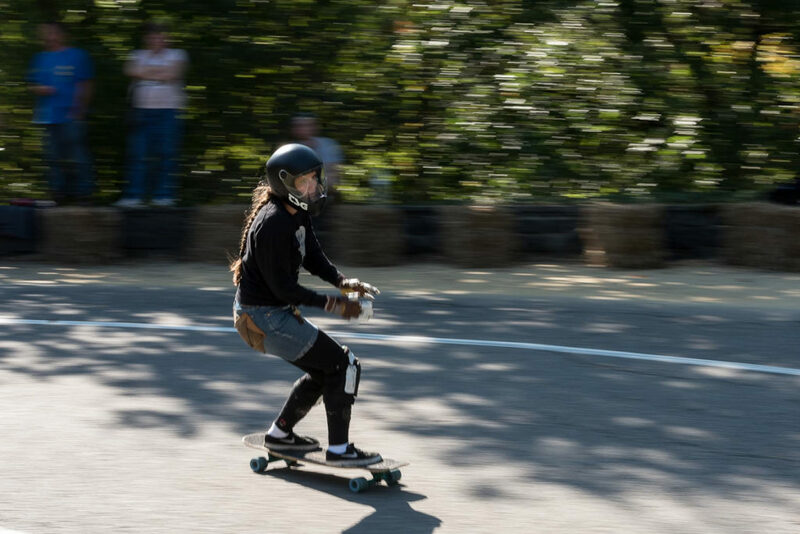 Maria is a graphic designer and photographer and started the photo project Girls in Longboarding 2014 and S*pin 2015, she’s also co-founded GRRRLS* can skate, organizes with her crew the GRRRLS* Skate Fest in Bielefeld and is a part of the Women’s Longboard Camp. If you have any question write my an E-Mail! You have some ideas, thoughts about S*pin? You want to share you Tricks/Slides?